Bangkok is one city that i'll never be sick of dropping by for a chill weekend of food, massage, and cheap shopping! 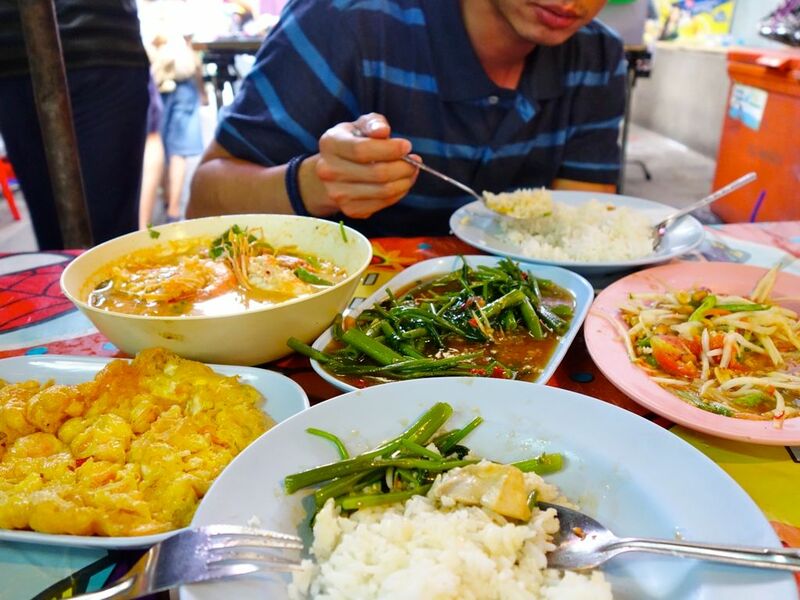 As we usually do relatively short trips, i've finally accumulated sufficient food content (ones worth sharing) for a proper Bangkok eats post. This post focuses on Thai food but if you're looking for brunch options, check out this other Bangkok brunch post. 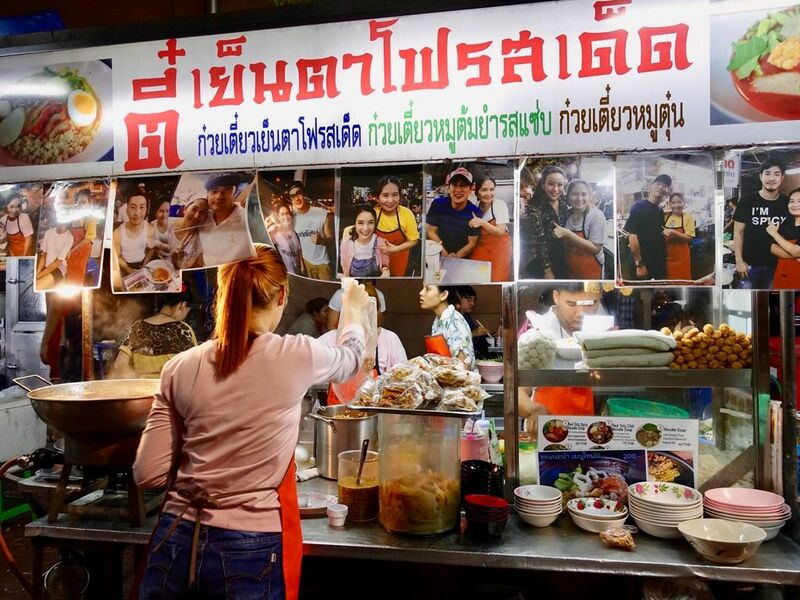 I've heard of Thip Samai for the longest time but i've always been too lazy to travel to just one spot for simple street food. 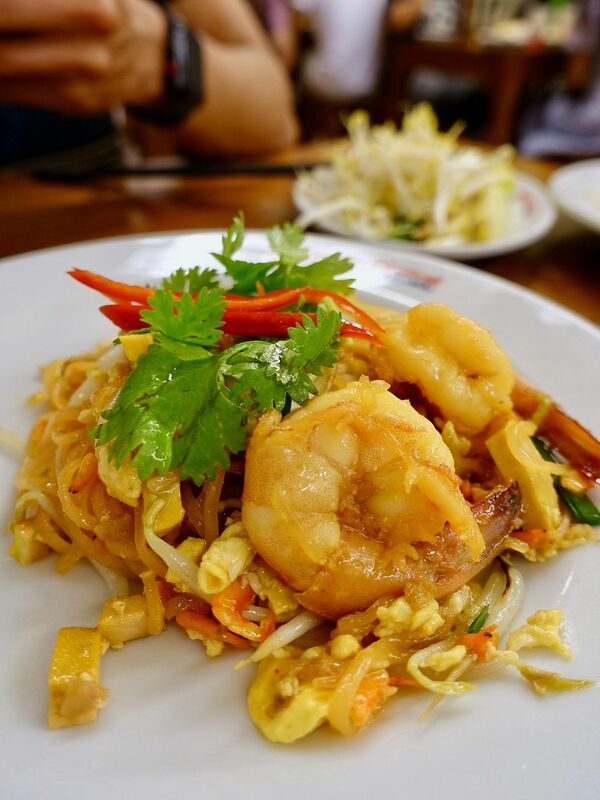 Plus, pad thai is great almost everywhere in Bangkok no? Apparently the locals love this and there is always a queue (that is very fast-moving thank god). 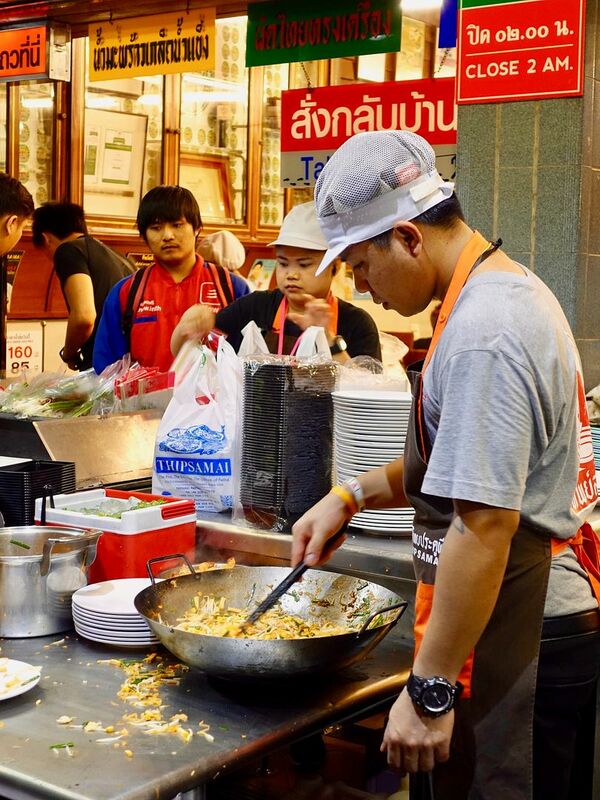 Charcoal fire is used to produce the scorched smoky flavor of the noodles, which are fried in shrimp oil for that lovely orange appearance. Toppings such as tofu, little shrimps (like sakura ebi), leeks, egg, and bean sprouts are added. 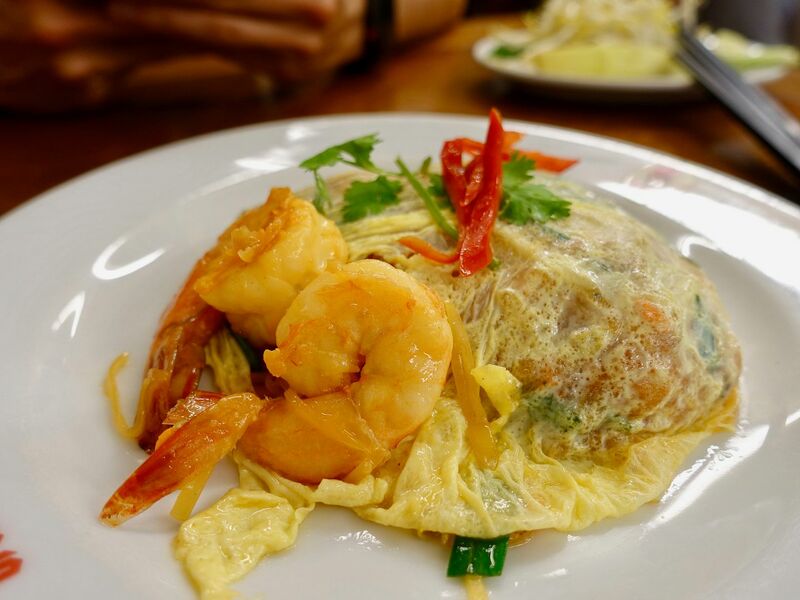 We went with the superb Pad Thai wrapped in egg (THB90), which comes topped with 3 chunky deep sea prawns. There's another version which has bits of fried egg instead of the egg crepe. They are the same essentially, except for their plating. I really enjoyed the chewy rice noodles. Make sure you add on more crushed peanuts and some chili flakes for texture and flavor! 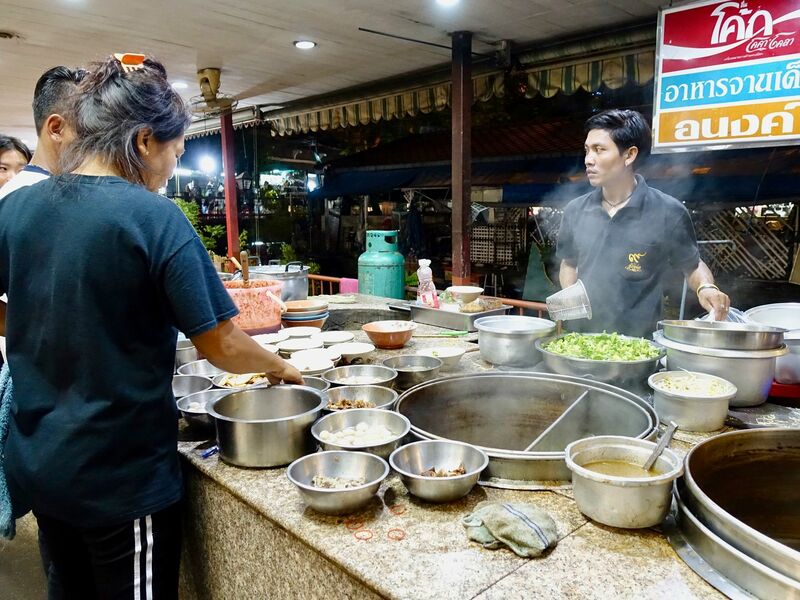 We followed Miss Tam Chiak's post to the next dinner spot, Tee's Yen Ta Fo, which is a street stall just down the road from Thip Samai (opposite 7-11). 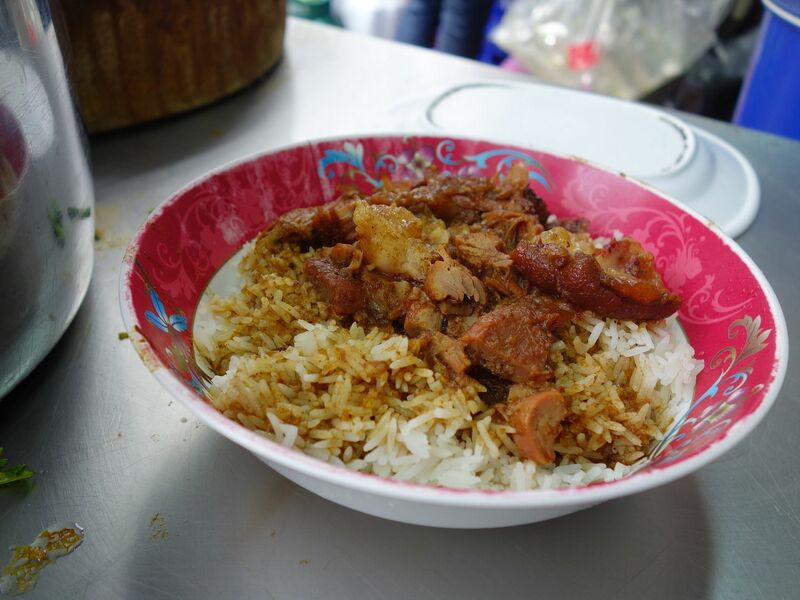 This street stall apparently sells very good pork stew and Thai Yong Tau Foo. I've not had Yen To Fo before so i didn't know what to expect, or if this was good. The sweet pink soup was topped with a lot of fried shallots and garlic bits and has various types of balls and dumplings made from fish paste. I thought it was alright- like a typical chinese noodle soup that is slightly sweet. It's served with kway teow (a flat rice noodle). I probably wouldn't waste my calories on this again. 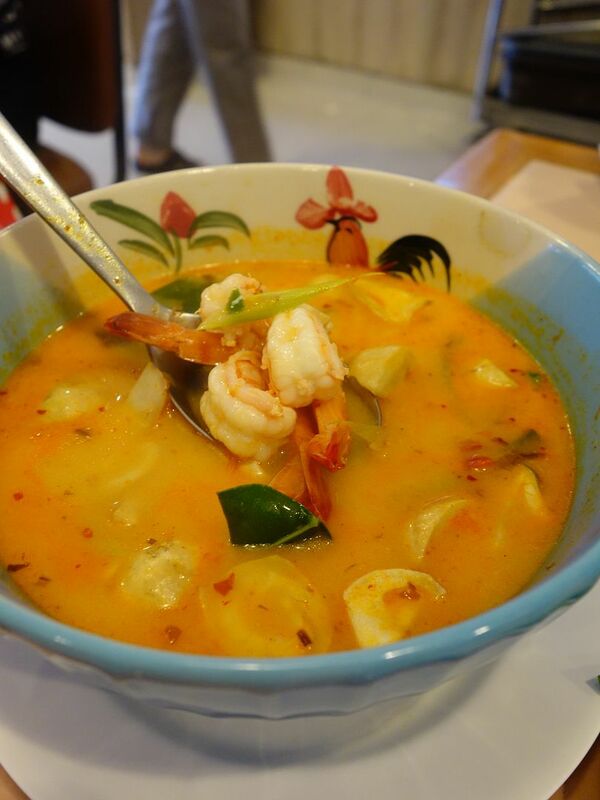 We also ordered another bowl of Tom Yum noodles with prawns (THB80). The noodles are just instant noodles really but i thought the prawns here tasted sweeter than the ones at Thip Samai. This recent trip, i also tried boat noodles for the first time! I know right, which world have i been living in? 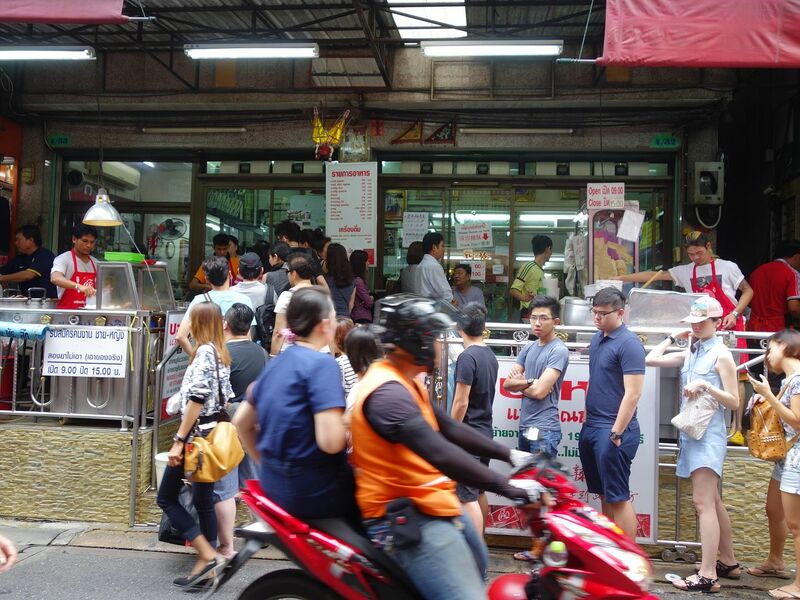 The best place to go boat noodles stall hopping is at Victory Monument, just search for it on Google Map. We randomly walked into two stalls, Anong Noodles and Ruathong Noodles. 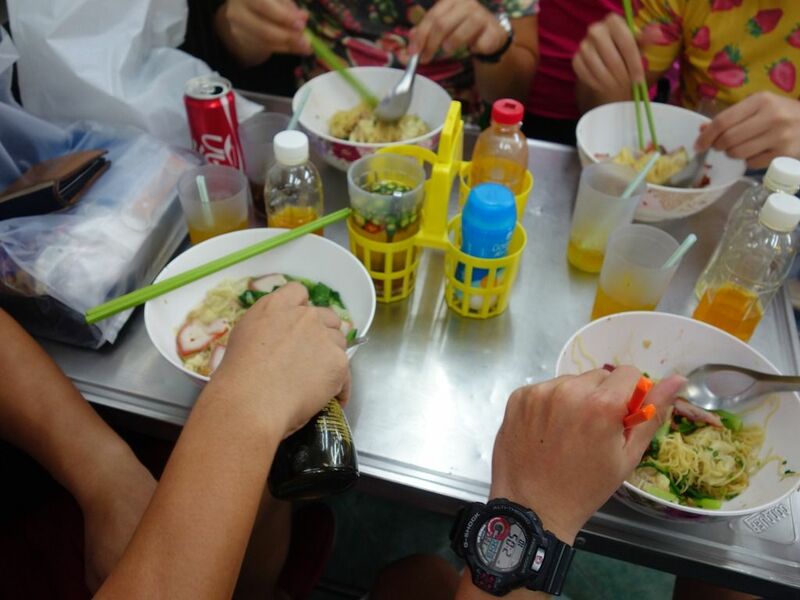 Each bowl of noodles costs THB12 and you can finish it in 2 - 3 bites, or 1 if you're a big fellow. There are a variety of flavors actually, so just order different ones to try. You'll probably need a minimum of 5 bowls for a full meal i suppose. Don't limit yourself to 1 place though. Of the 2 stalls, I thought that Anong dishes more springy noodles and the flavors are more balanced. Ruathong was more packed though but i find their spice level way off the charts- I was seriously suffering. Their beef noodles soup was super rich and yums. Singapore shoppers headed to Platinum Mall for bargain buys would probably know of this wanton noodles place. Since it came recommended by several bloggers and we were in the area, we decided to queue for a taste. Personally, i prefer the Hong Kong style wanton mee which serves huge parcels of minced pork and prawns. These wantons were meh and the char siew even more meh. It's more like our hawker center wanton mee. But the noodles were light and perfect. Do yourself a favor and order the big bowl (the small was pathetic). We hear the stewed pork is better, and it sells out very early on. Life has not been the same after i had my first meal at Som Tam Nua. It's permanently on my BKK itinerary now. I just can't get over how delicious their chicken wings are.. Seriously addictive! 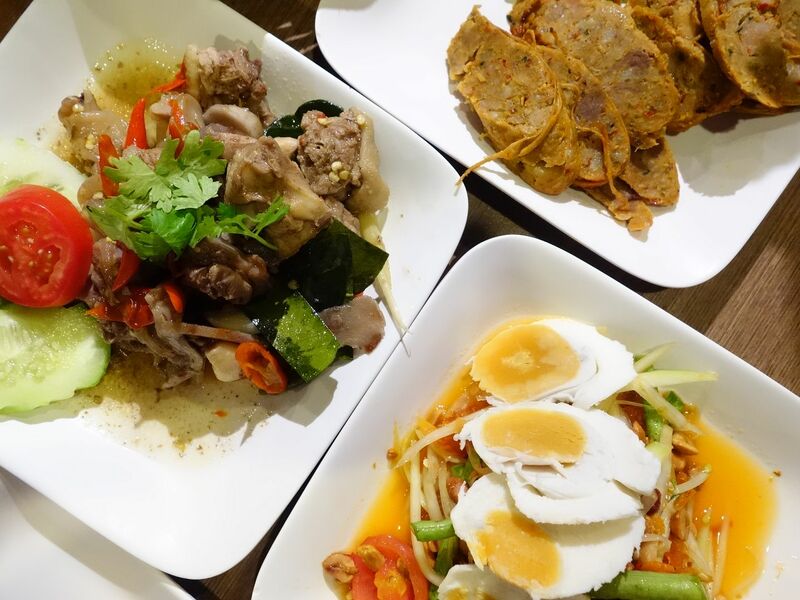 Som Tam Nua specialises in Isaan cuisine (Northern Thai food). Som Tam is a spicy papaya salad prepared using unripe papayas, which gives the dish its tangy and refreshing character. The som tam at Som Tam Nua is obviously good too. 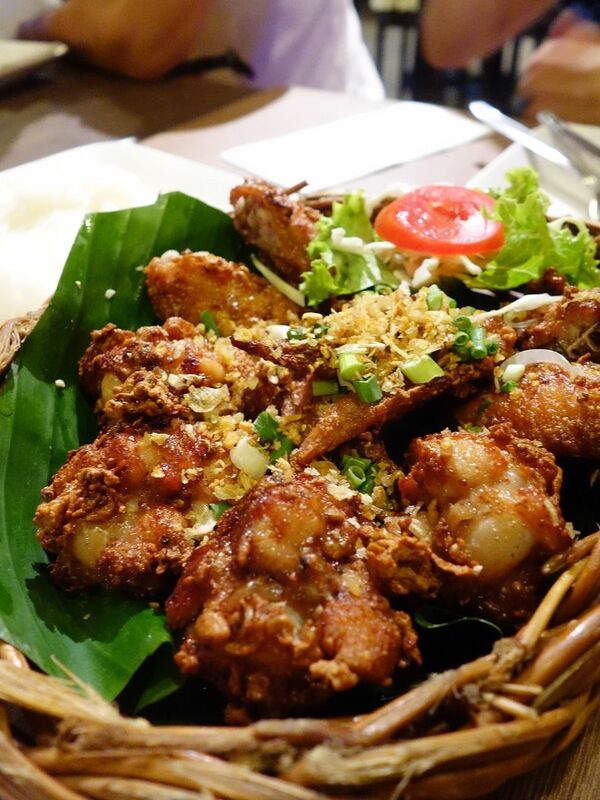 They have a few different types, with varied toppings such as preserved crab, mudfish, or salted egg.. 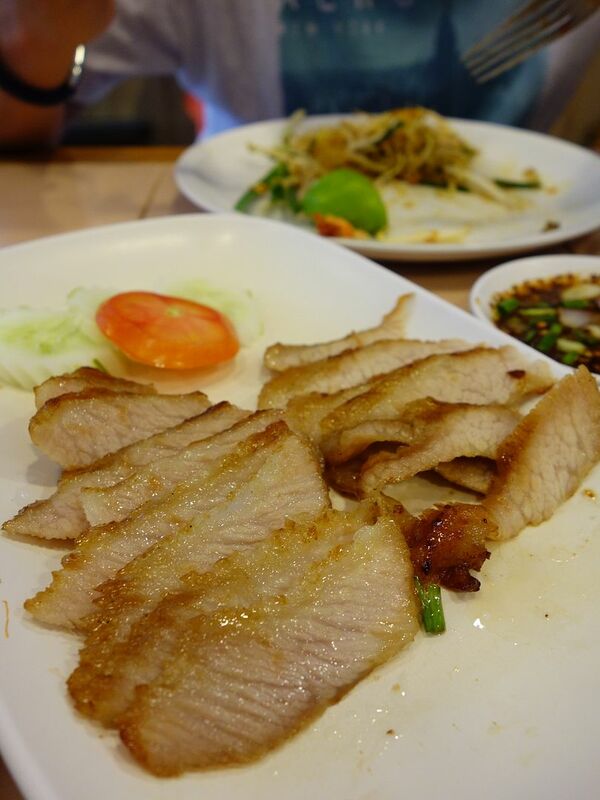 The barbecued pork with chili dipping sauce is also good, and their fried fish as well. Heck, go with a big group and order as much as you can. LOVE IT. Another popular thai restaurant in the Siam area is Inter Restaurant 1989. It does the regular staple Thai dishes like Tom Yum Kung, curries and all. Jr loves the grilled pork night here. As you can see, it's mostly meat with a little bit of fat. The meat was quite well-marbled and juicy. Go early or late for your meals here. I don't get what's fashionable about this bakery but i don't care as long as they serve yummy morsels of egg in flaky crusts. I know Portuguese egg tarts are not Thai, but these are too good not to share, plus this is so near Som Tam Nua. The custard is wobbly, creamy heaven, and held in a salty buttery crispy shell. I could have so many of these. 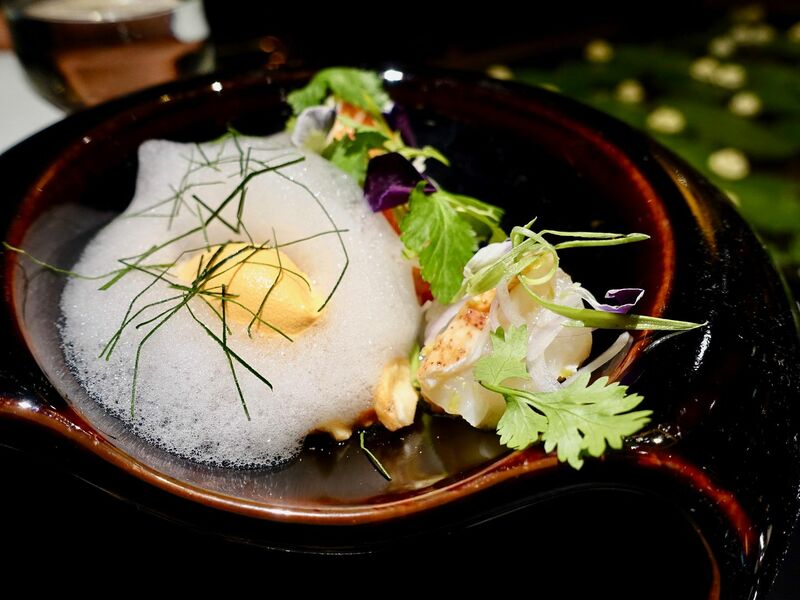 If you want fantastic modern Thai food that will blow your mind, you have to go to Sra Bua. I don't know how it took me so long, or why no one recommended this to me, but seriously.. it's the best and most value for money one Michelin star Thai food. It's fantastic really and lunch starts from only THB1500. I'll do a more detailed review on this but promise you'll do yourself a favor by booking a table. 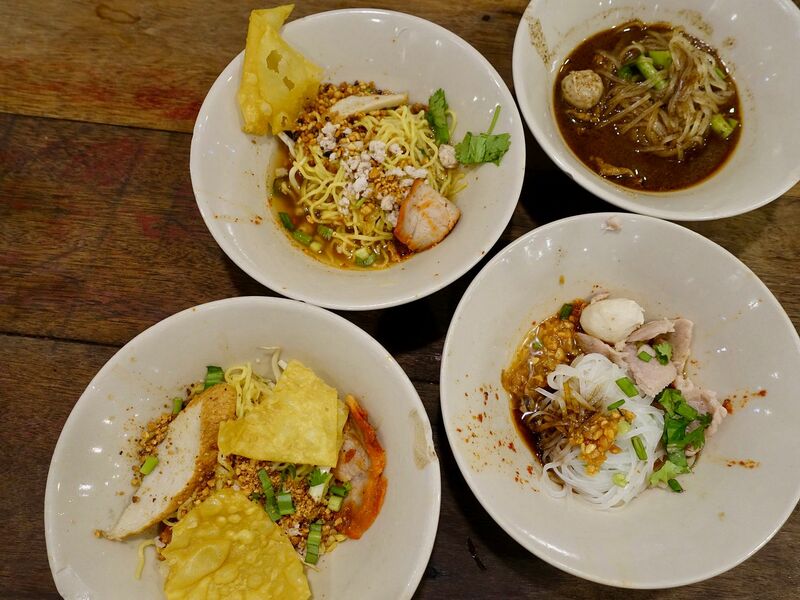 Ok that's all for some of my recommended Thai eats in Bangkok. Do share with me what are your favorites since i'll be popping by every now and then!